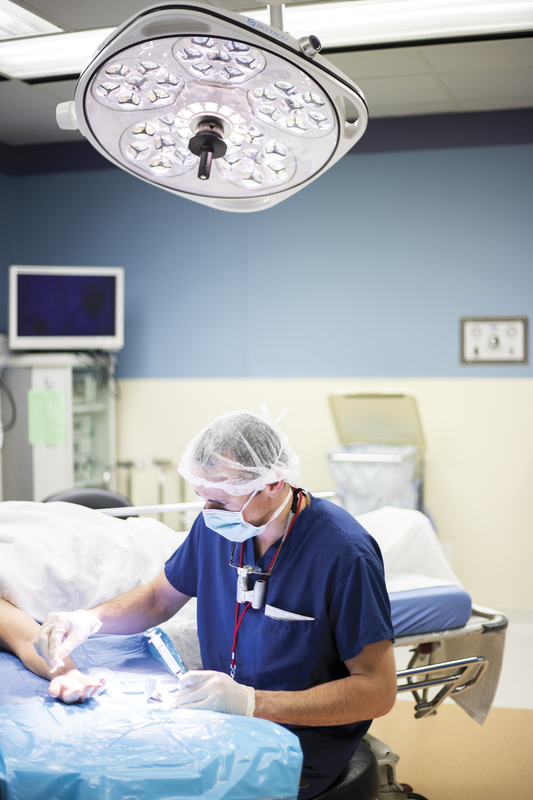 For many people, the thought of having surgery is terrifying. 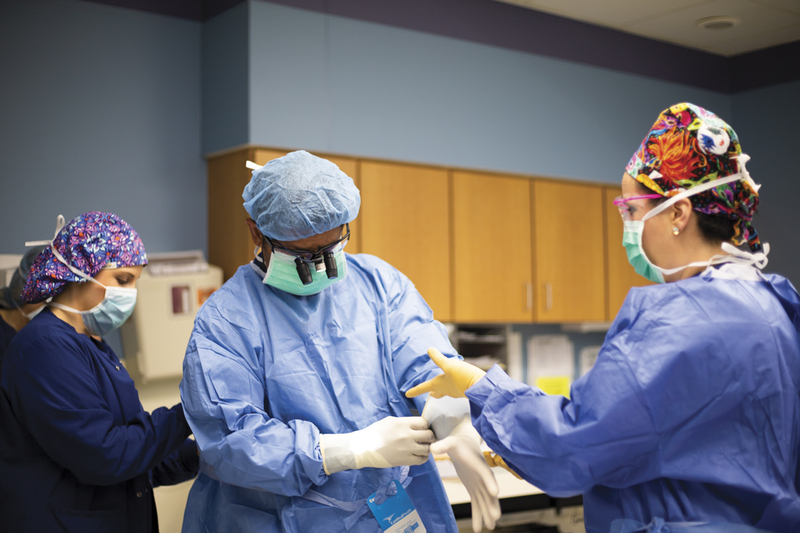 So, My City Wellness has “scrubbed in” with talented local surgeons as they performed a variety of procedures – a peek behind the curtain, if you will. 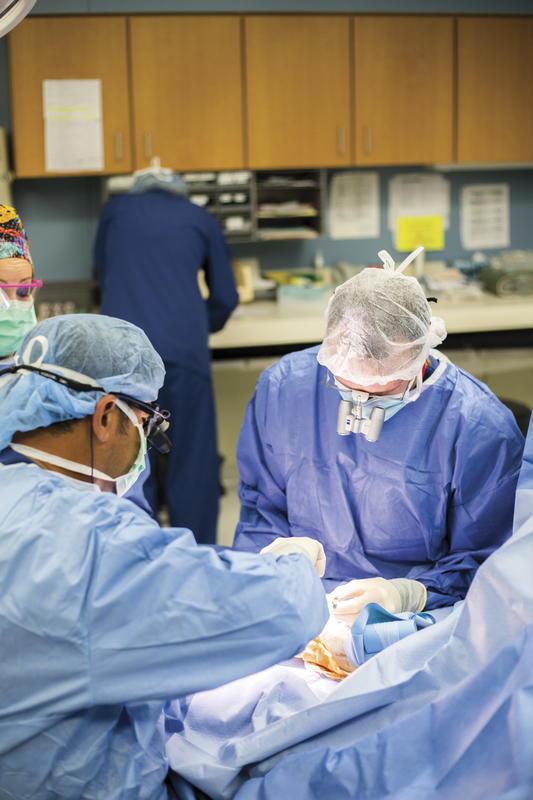 Our sincere thanks to A. George Dass, MD, John Verre, DO and the entire team at The Surgery Center for their gracious cooperation in creating this ongoing special section. Board Certified in hand and orthopedic surgery, Dr. Dass has 26 years of experience and specializes in hand, elbow and shoulder surgery. He earned his undergraduate degree in biomedical sciences, as well as his medical degree from University of Michigan Medical School through the accelerated Interflex Program. He completed an orthopedic residency at Cleveland Clinic Foundation and afterward, did a hand and elbow fellowship at Tufts University School of Medicine in Boston. 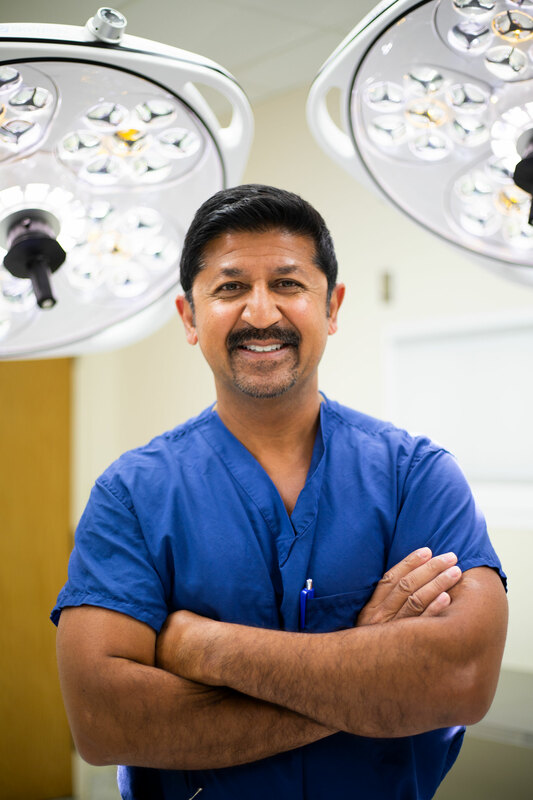 Dr. Dass is currently an Associate Clinical Professor in the Department of Surgery for Michigan State University’s College of Human Medicine, and Associate Chairman of the Orthopedic Training Program at McLaren Flint. He is currently an Orthopedic Surgeon at OrthoMichigan. People with this condition may experience a tender lump at the base of the finger on the palm side of the hand; a catching, popping, or locking sensation with finger movement, and pain when you bend or straighten the finger. The condition is also known as stenosing tenosynovitis. The ring finger and thumb are most often affected, but it can also occur in the other fingers. Attaching the forearm muscles to the finger bones are flexor tendons – long, cord-like structures that allow the fingers to bend. Each flexor tendon passes through a tunnel in the palm and fingers that allows it to glide smoothly as the finger bends and straightens. This tunnel is called the “tendon sheath,” which has bands of tissue called “pulleys” that hold the flexor tendons closely to the finger bones. With Trigger Finger, the A1 pulley becomes inflamed or thickened, making it harder for the flexor tendon to glide through it as the finger bends. The flexor tendon may also become inflamed and develop a small nodule on its surface. When the finger flexes and the nodule passes through the pulley, there is a sensation of catching or popping, which is often painful. In a severe case of trigger finger, the finger becomes locked in a bent position and the person must use his or her other hand to straighten it. The goal of the surgery is to fix the irritated flexor tendon so it can move more freely and also reduce any other symptoms like pain or swelling. 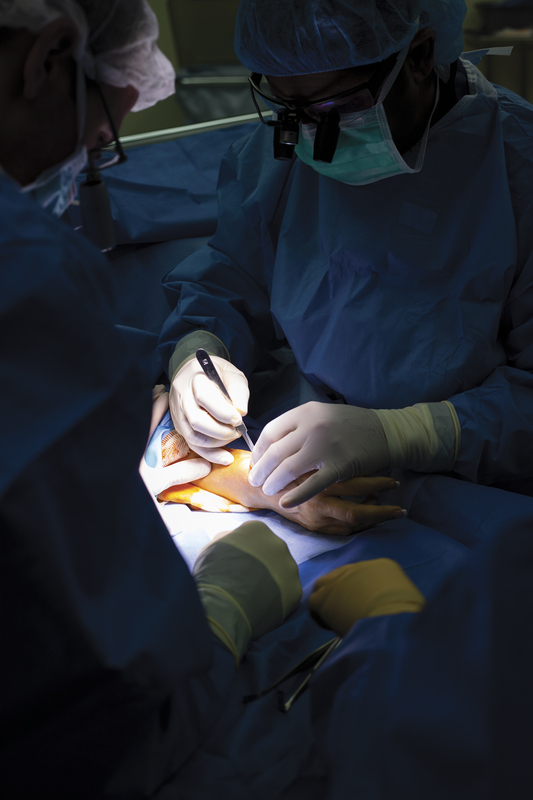 Typically, this involves making a small incision in the A1 pulley, which connects the tendon to the bone. 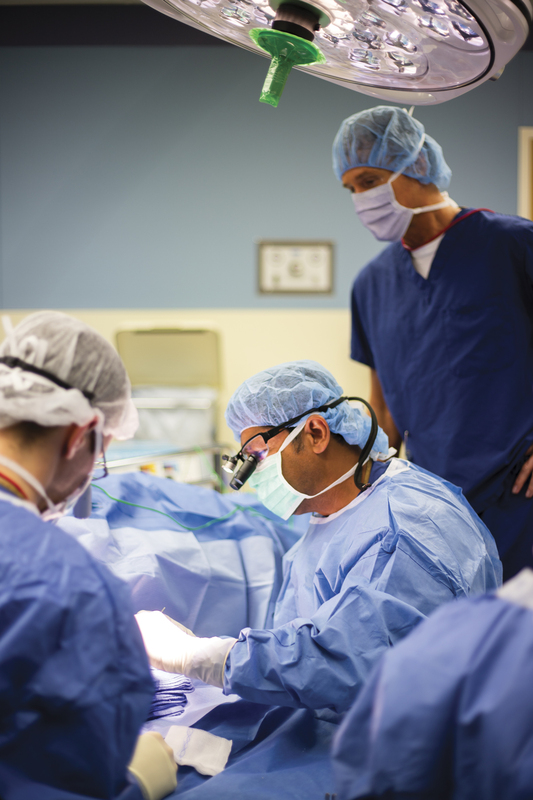 Over 26 years, Dr. Dass has performed this surgery many times with a success rate of 95-99%. 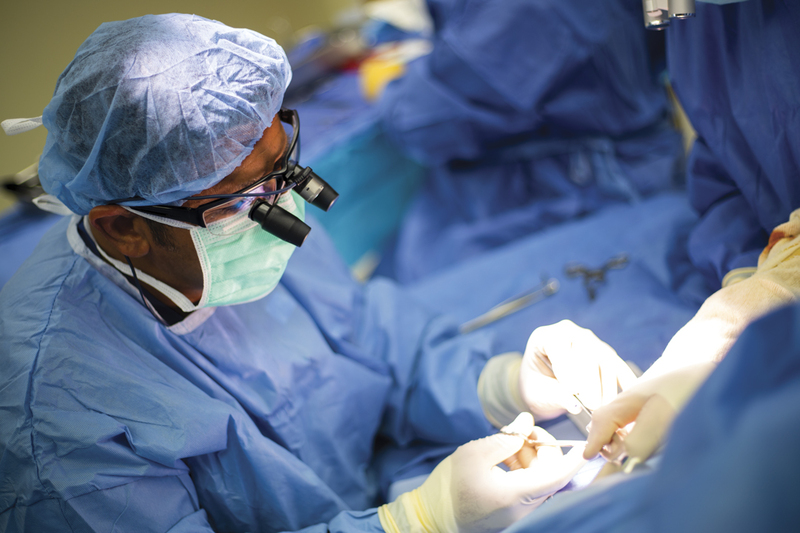 With the aid of magnification glasses, the technique allows for a minimally-invasive procedure with a very small incision. 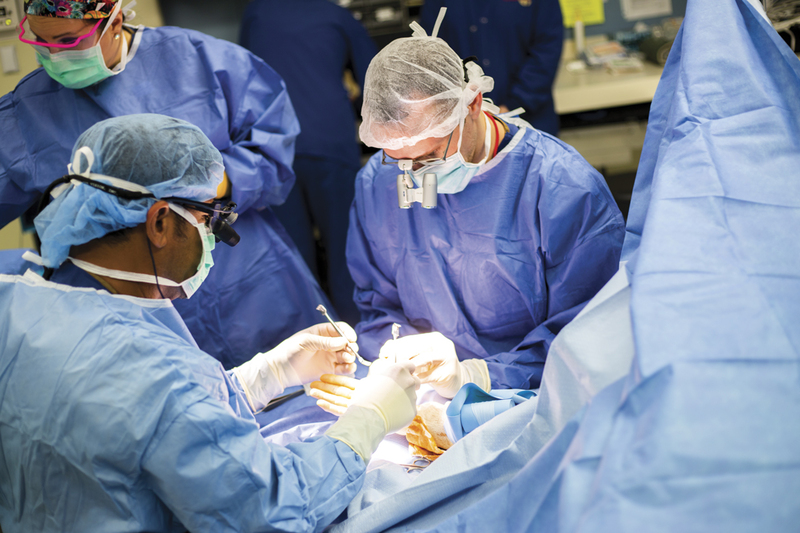 The outpatient surgery is done with a local anesthetic and some IV sedation, and takes 5-10 minutes to perform. The patient has immediate use of the hand and fingers, with resolution of intermittent symptoms within a few days and improvement of constant symptoms over months. Following this procedure, a person can return to work immediately or within 4-6 weeks, depending on their daily activity. To improve range of motion and strength, 1-2 physical therapy sessions are typically prescribed. 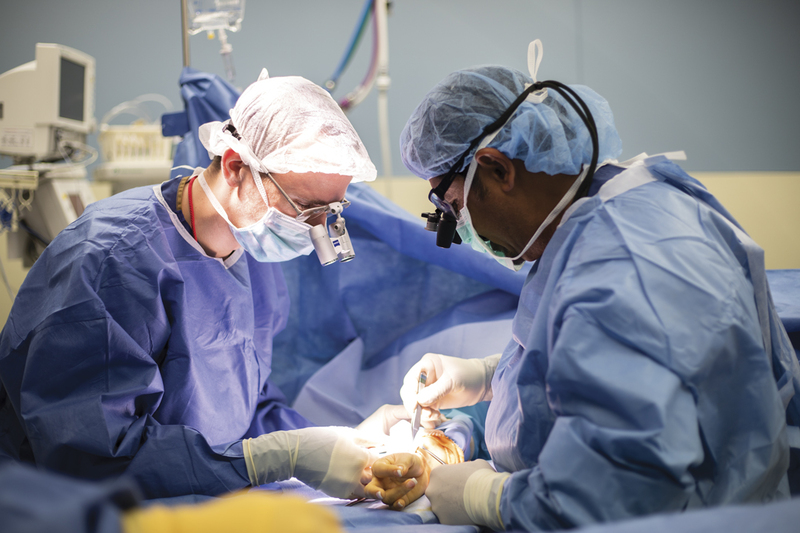 Dr. Dass is assisted at The Surgery Center by John Verre, DO. Candidates for this surgery suffer from severe pain in the wrist when attempting to hold or grasp anything, or make a fist. De Quervain’s Tenosynovitis is caused by repetitive use and chronic overuse of the wrist. It occurs when the two tendons around the base of the thumb become swollen, causing inflammation, pain and numbness. Women are at higher risk of developing this condition, especially new mothers. Symptoms include swelling and severe pain near the base of the thumb, and a sticking sensation in the thumb when moving it. This surgery is done with a local anesthetic and some IV sedation. 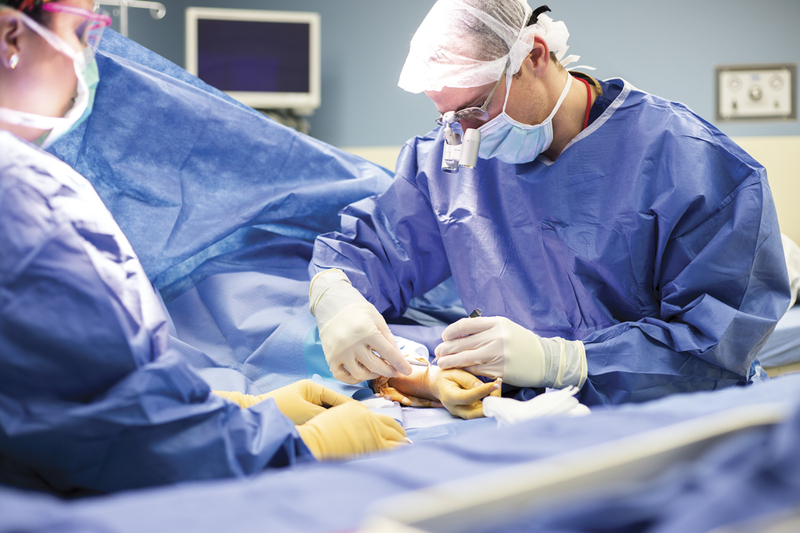 During this 15-minute, outpatient procedure, a small incision is made on the wrist, near the base of the thumb. From there, the inflamed tendon is located and a small slit is made in the sheath surrounding the tendon which alleviates the pressure and friction on the tendons, allowing them to glide freely as the hand is used. Dr. Dass has performed many of these procedures with a success rate of 95-99%. Post-operatively, hand and wrist therapy and thumb exercises are strongly encouraged to facilitate a full recovery. observes the procedure up-close and personal. “I get so excited for every surgery observation!” he exclaims. 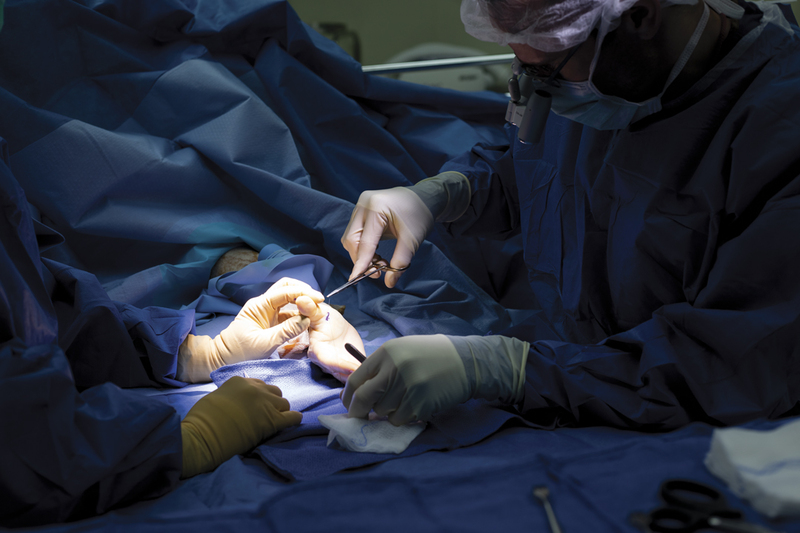 Candidates for this surgery have been experiencing pain, tingling and numbness in the hand and wrist for months, and it is affecting quality of life. It is recommended that people don’t wait until numbness in the hand is constant, as the results of the procedure will not be as good. Otherwise, the success rate is 95% good to excellent, with significant reduction or elimination of pain and numbness in the hand and wrist. The median nerve and the tendons that flex (or curl) your fingers go through a passage in the wrist called the carpal tunnel. This tunnel is narrow, so any swelling can pinch the nerve and cause pain, numbness and weakness in the hand and fingers. A thick ligament just under your skin (the carpal ligament) makes up the top of this tunnel. During this procedure, the ligament is cut, which releases pressure on the median nerve and relieves the symptoms of carpal tunnel syndrome. An incision is made at the base of the palm, the ligament is cut and the skin is closed with stitches. Over 26 years, Dr. Dass has performed this surgery numerous times. 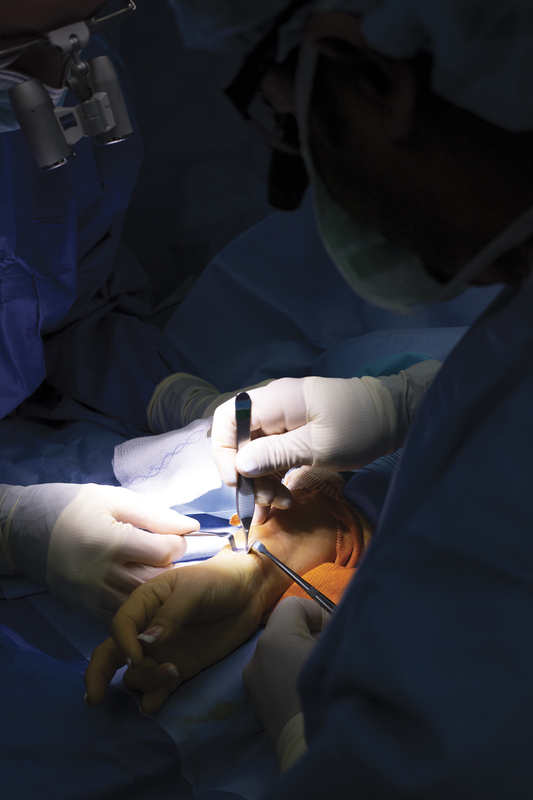 With the aid of magnification glasses, the technique allows for a minimally-invasive procedure with a very small (half-inch) incision. 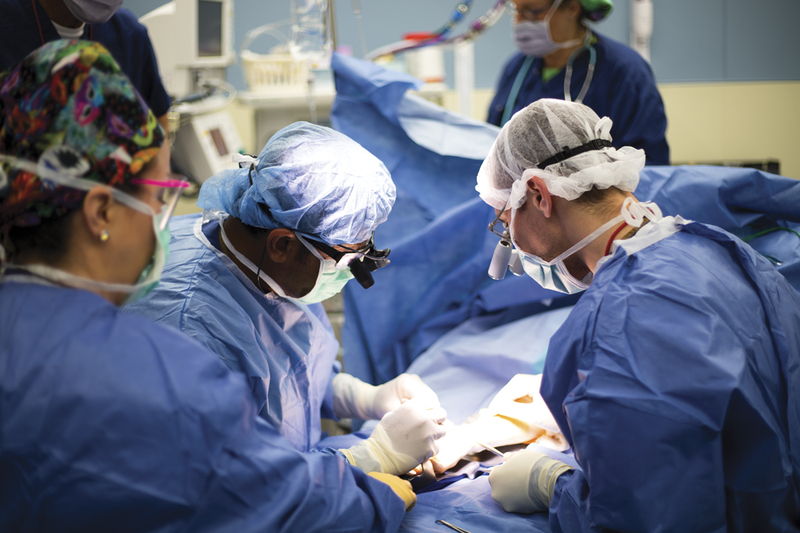 The outpatient surgery is done with a local anesthetic and some IV sedation, and takes 5-10 minutes to perform. The patient has immediate use of the hand and fingers, with resolution of intermittent symptoms within a few days and possible improvement of constant symptoms over months. Next Article My City 2018 Wellness Awards WinnersCongratulations!